Double halo heart shaped Argyle pink diamond ring. 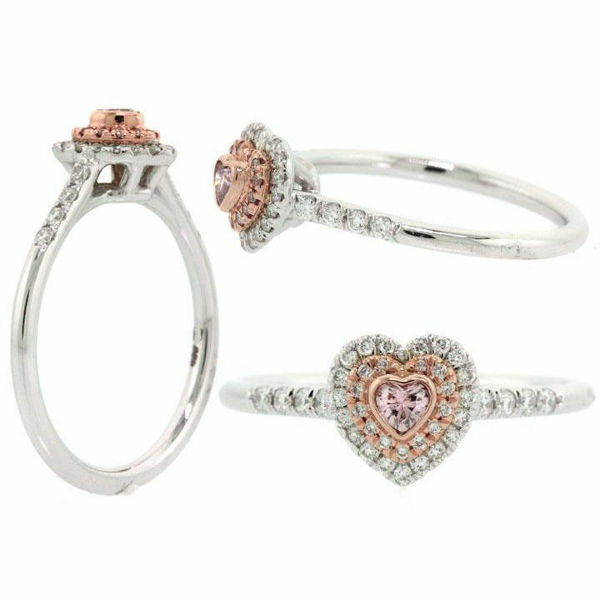 The gorgeous mounting features a delicate 0.06 carat heart shaped Argyle pink diamond (6PR) and 40 full cut white diamonds weighing 0.25 carat. A delicate and romantic ring.